You know you are officially old when your favourite childhood TV stars begin posing in mugshots rather than in front of TV cameras. For many of us who grew up the noughties, 30-year-old actor Orlando Brown will always be Edward ‘Eddie’ Thomas from That’s So Raven. Eddie was one of psychic Raven’s very best friends, and had numerous quirky catchphrases including ‘Told ya! Told ya twice!’ and ‘Holla!’ The pair even shared a couple of kisses in a romantic subplot. According to Hollywood Life, Orlando was arrested on January 18 for an outstanding battery charge. 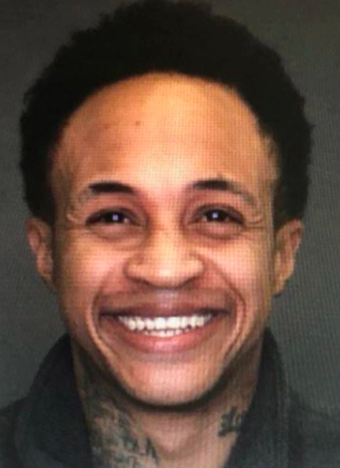 In a disturbing mugshot released by Barstow Police Department, Orlando can be seen grinning from ear to ear; sporting a Disney perfect smile during what for most people would be a truly harrowing situation. According to TMZ, police were called to the former child star’s home on Thursday morning after he, his girlfriend and her mother got into a fiery shouting match. In accordance with police protocol, officers checked for any outstanding warrants and it turned out both Orlando and his girlfriend’s mum – 46-year-old Tanya Henson – both had outstanding warrants for arrest. Orlando was wanted for allegedly striking his girlfriend in the Torrance, CA police department car park back in 2016. So ‘allegedly’ I beat my women up..and walked into torrance jail with ‘kristal meth’ [sic] on me….Brace yourselves for this one. ‘The devil is a lie i feel him breathing’ Kanye said it best…Its ok thoe [sic]…Be sure to watch TMZ….This is an interesting one…Even to me! Real talk! As of yet, it is unclear whether or not the woman in the parking lot is the same girlfriend Orlando was involved in a shouting match with. He has now been jailed on account of several allegations; including battery against a spouse and resisting arrest, as well as for possessing a controlled substance. Orlando Brown’s decline is so disturbing. I love that my aunts a dispatcher cause I got to hear about the Orlando Brown arrest ? Fans are understandably confused about Orlando’s beaming expression. After all, getting arrested for such serious allegations isn’t usually a cause for celebration. Reactions have ranged from amused to disturbed, with one fan describing the glowing smile as being ‘very creepy’ with another stating he looked ‘possessed’. 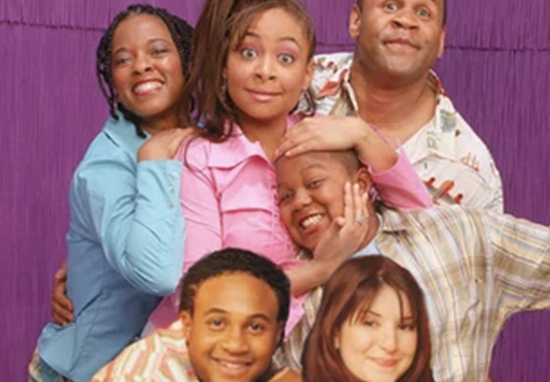 One person quipped ‘Raven did NOT see that coming!’, referencing Raven’s psychic abilities on the beloved supernatural sitcom. He looks very creepy ?? It is always genuinely sad and disappointing to see those who had so much promise and potential as kids end up facing such violent criminal charges. Eddie was a sweet and likeable character – a far cry from the disgraced man who us now sat in cells at Barstow, CA jail. Orlando’s bail is reportedly set at $25,000.